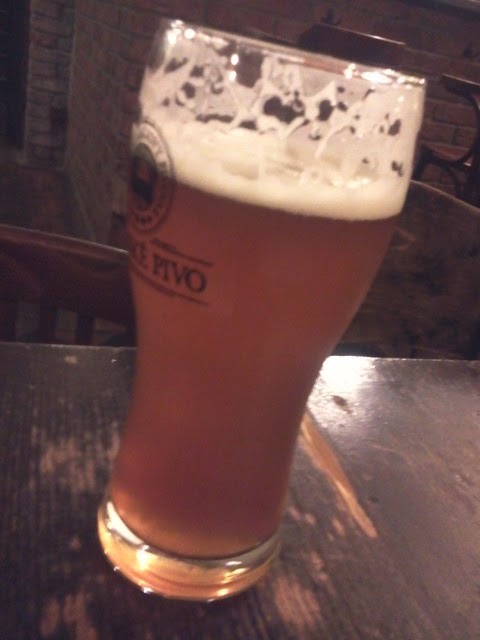 I had this beer on tap at Zlý Časy. Sherpa looked hazy orange with a moderate amount of white head. My nose was greeted by funky orange and pine hops. I could feel the caramel malt battling with the grapefruit, orange, lemon, and pine in my mouth. There was a full bitterness to the flavor. The carbonation was low. I found this beer to be tasty, and I would definitely have it again.